1719 : JOY TO THE WORLD! 1757 : Charles Wesley Jr.
2014 : TELL THE WORLD! On 13th September 1827 Catherine Winkworth was born. Winkworth translated many German chorales into English, such as Nun danket alle Gott which is known in English as ‘Now Thank We All Our God’. She lived for some time on Cornwallis Crescent in Bristol, where she worked tirelessly to advance cause of women’s education. 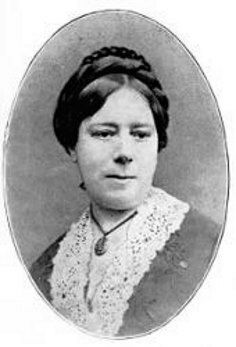 She was involved in Clifton High School for Girls and the Red Maids’ School. The USA Episcopal Church holds her commemoration on 7 August; and the Evangelical Lutheran Church in America commemorates her on 1 July. 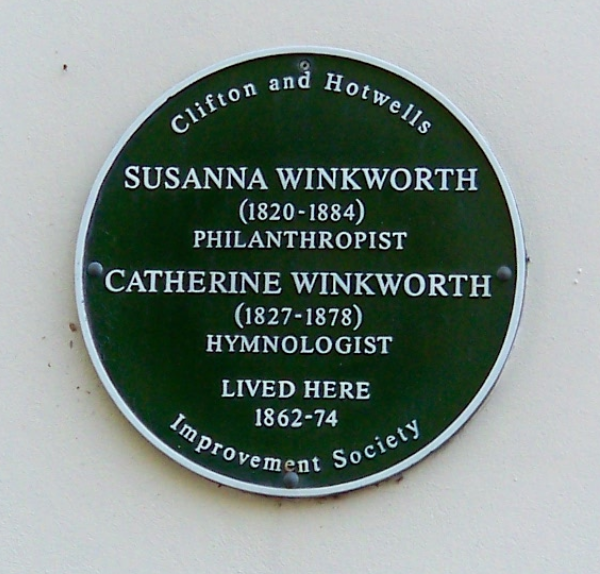 The plaque on the Cornwallis Crescent house in Bristol, where Catherine Winkworth lived from 1862.